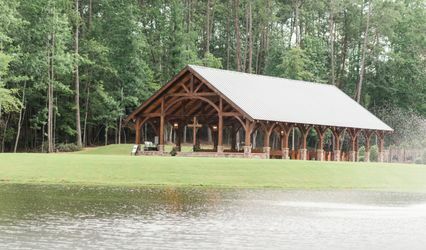 Fincher Springs Farm is a rustic wedding venue located in Rockmart, Georgia. Nestled in northwest Georgia, this location is beaming with Southern charm. This calm and tranquil location provides an intimate and humble space. 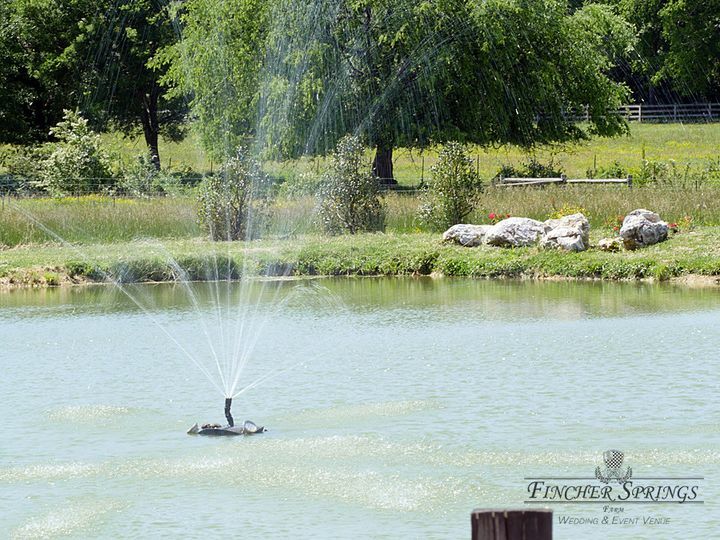 Fincher Springs offers numerous outdoor sites and a historic barn perfect for a reception. 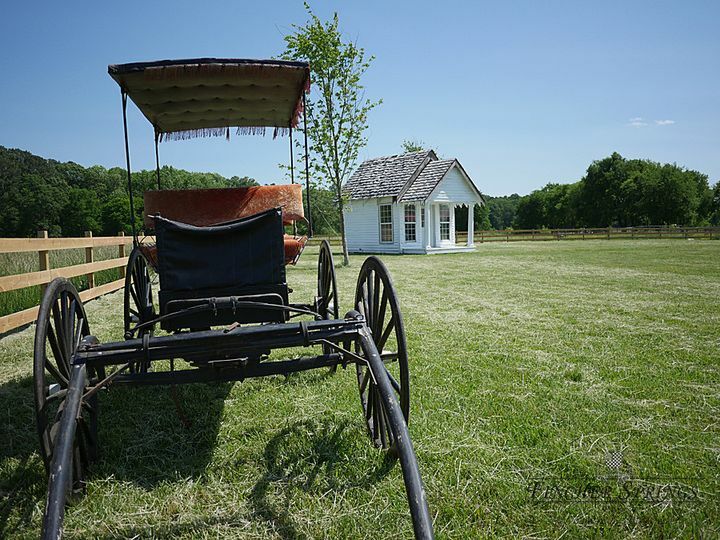 With many services and rentals available, Fincher Springs is an ideal venue for a country wedding. 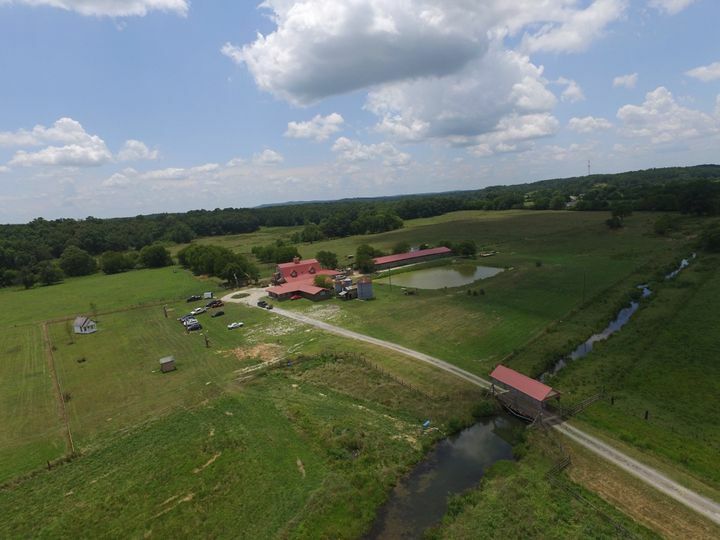 Fincher Springs Farm is located in Rockmart, Georgia, by Fish Creek. I recently held my wedding here in August. 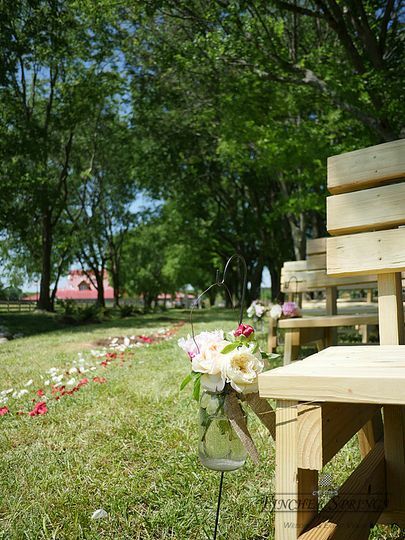 During the wedding planning process I kept an open mind because they venue was new and really loved their tree path to the gazebo. I honestly do not like the 8 hour minimum with each extra hour costing $100. This was a problem for us because we were told we could come whenever we wanted. This time crunch allowed for hardly any getting ready by the time pictures needed to be started. 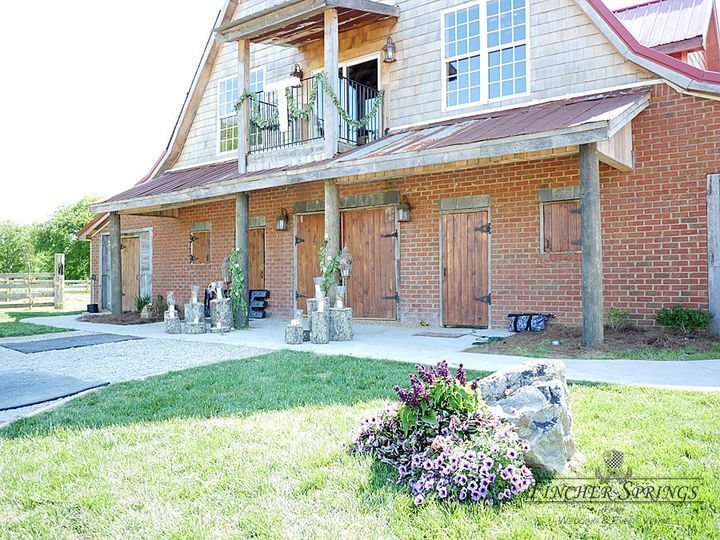 When arriving to the venue on rehearsal day I noticed massive amounts of wasp nests on the outside of the barn where guests would be. I nicely requested for them to be sprayed and was told that they came over night.They were swarming every where. I was told they'd be removed. On wedding day some were still there and had to be dodged during pictures. I do believe a lot of cans of wasp spray were used to solve the problem . On the positive side the venue was beautiful and Mrs. Fincher was helpful with details and day of. My wedding planners suggestions regarding the wasps wasn't listened to and that was bothersome. I would also say that a backup plan is not very ideal for inside, due to the fact you need as much space as possible for guests and buffet. The bridal suite and groom suite was very well taken care of and was beautiful. I would just be aware of many hidden costs that I would asked to be explained in more depth, because the contact changed considering I had the venue booked for over a year. I would recommend the farm but be aware to come with these mindsets ahead of booking. The lit up trees are beautiful and my night wedding was great. I honestly was nervous if the wedding needed to be moved inside cause idk where it would of happened. Also, keep in mind the dance floor is upstairs which makes it harder for older guests but there is a camera viewing alternative downstairs. 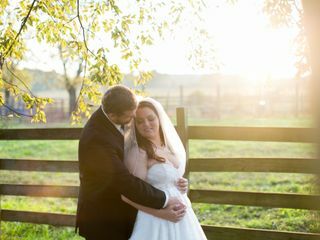 Overall everything was great and I would reccomend if you are wanting a outside wedding. I would not suggest for indoors as of now and no more guests than 150. My husband and I got married here on November 4th of this year; it's a beautiful venue! It fit our style and day perfectly. 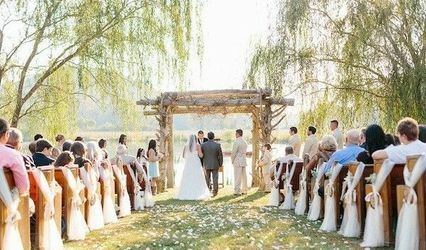 The grounds are beautiful and the barn is just the right amount of elegant and rustic! 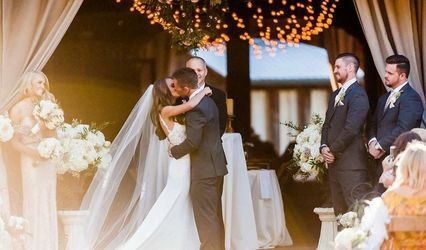 The lights in the trees at night were so dreamy and romantic and the chandeliers added a warm ambiance to the inside of the barn! Mrs. Fincher also let us have the cows out in the pasture during our day which added so much charm, but I may be a little biased since cows are my favorite! The owners were pretty agreeable and overall pleasant. There were a few instances where they were trying to change the prices of rentals, but they ended up honoring the original price which we appreciated! 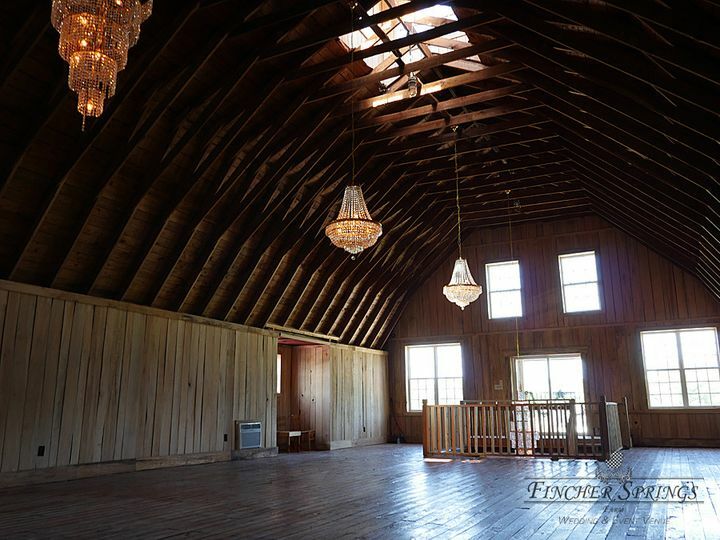 There were also several things left out in the barn and on the grounds like they were part of the venue but were actually rentals that were kind of pricy, and it felt a little dishonest. I would just keep an eye out for any changes being made, though; the contract does say they can change prices at any time without notice. They also tried to get rid of the gazebo and replace it with an arbor after we had decided and paid for a floral design specific to the gazebo. 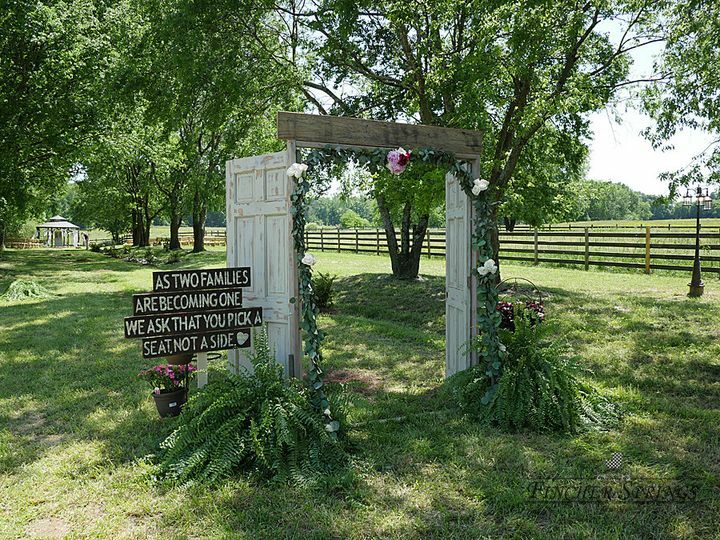 Again, they ended up letting us keep it and use it for our ceremony so they honored the original plan. 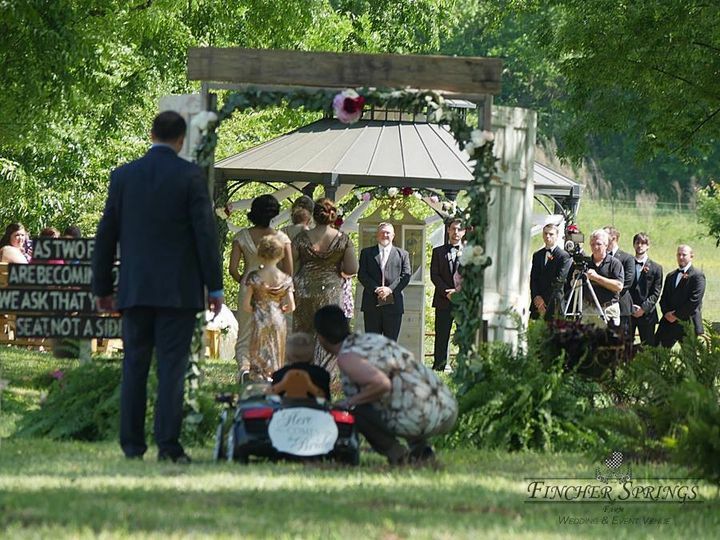 I would also like to make mention that the owners handled the wedding day, bumps in the road and all, wonderfully! We did have a situation where the septic line busted and the bathrooms were down, but they had it resolved in record time, and it was like it never happened! 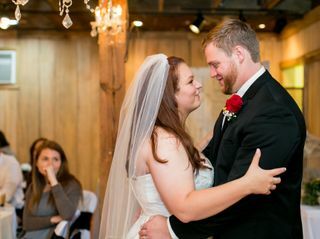 I do have to rave about our coordinator, Stacie Baines, from Wedding Day Bliss! She was always pleasant, available and had a solution for everything. 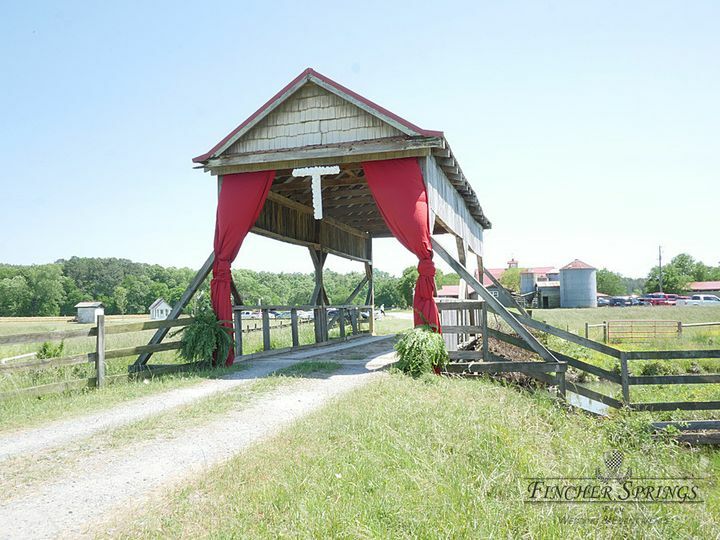 She helped us find all but one of our vendors and her recommendations were solid and reliable. Nothing slipped past her, and she is just a sweetheart. I truly wish she personally could have been there to coordinate the actual day but she was already booked prior to us booking our date.